The cake is sourced from the Marriott Hotel in Karachi. This heavenly Mexican Chocolate Cake has a great mouth watering flavour. 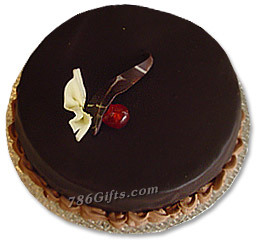 This cake would melt in the receiver's mouth creating exotic sensations that would bring him/her closer to you.